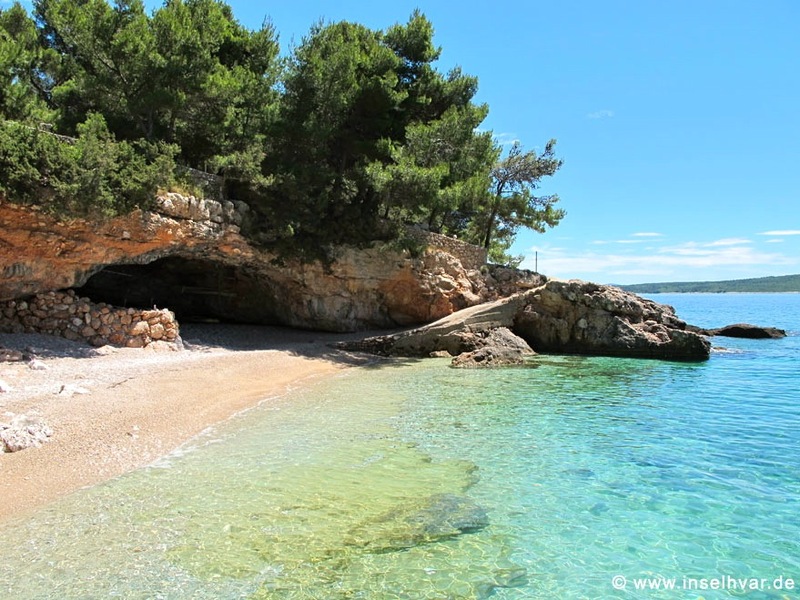 Island Hvar beaches. 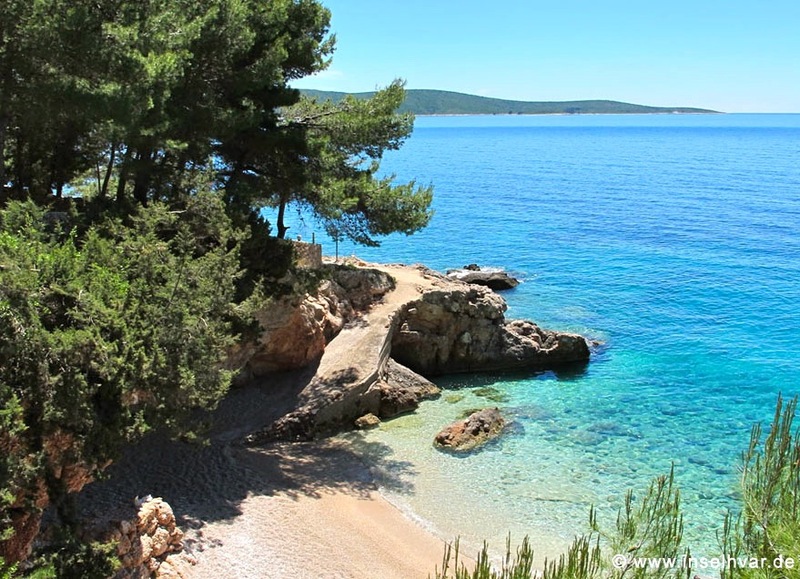 Accommodation Hvar near the beach. 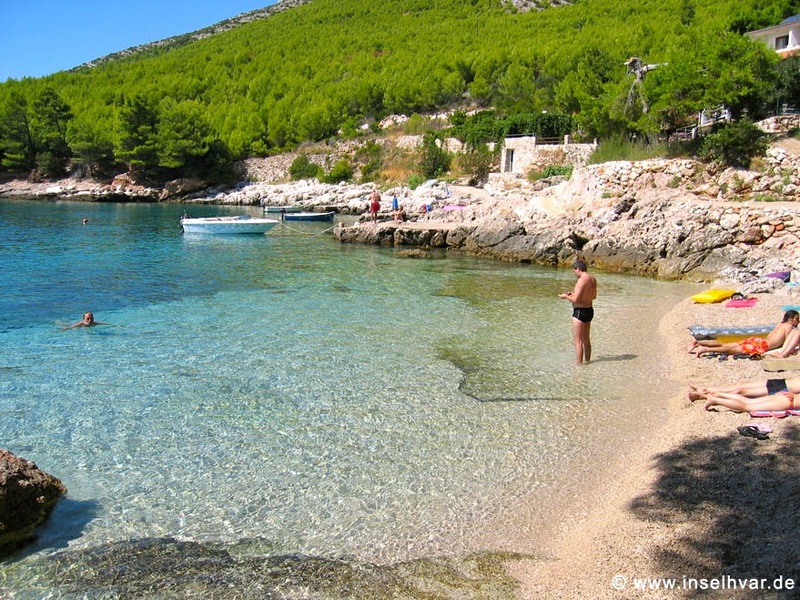 Vacation at seaside on the island Hvar. 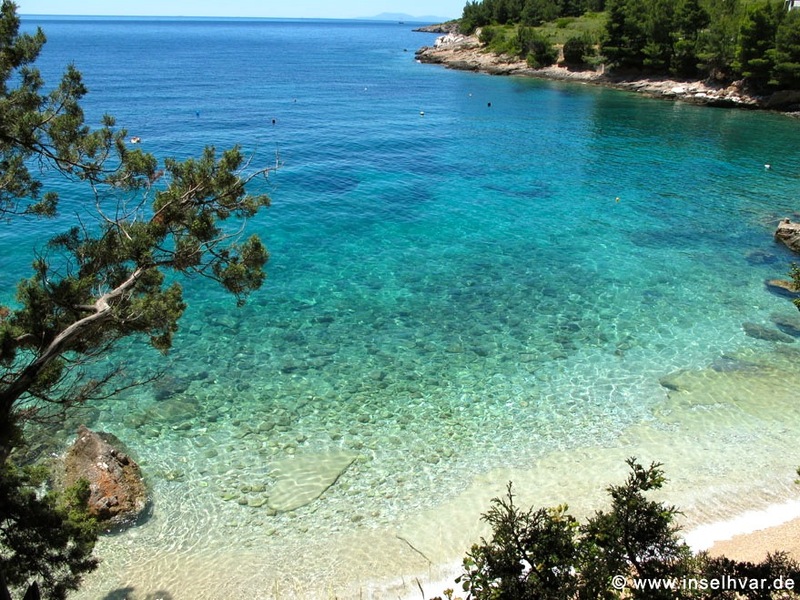 Who is looking for nice beaches is on the island of Hvar at the right location. 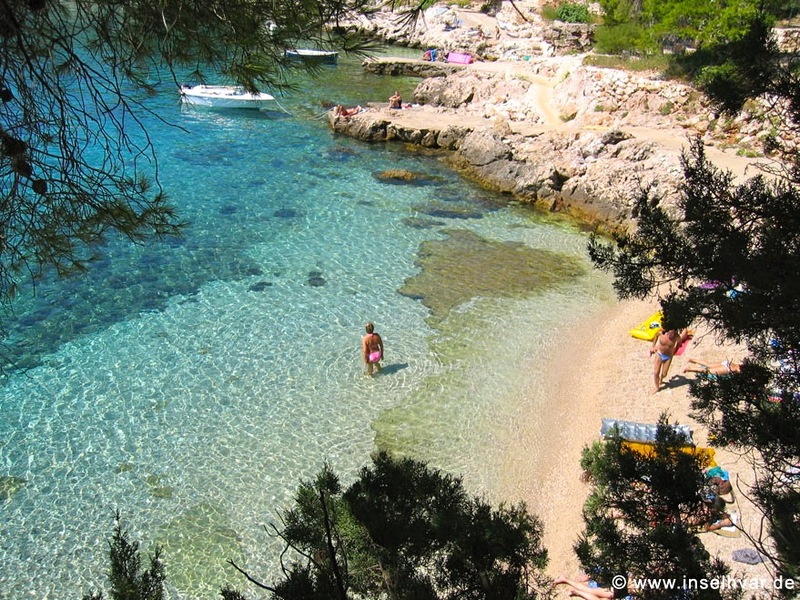 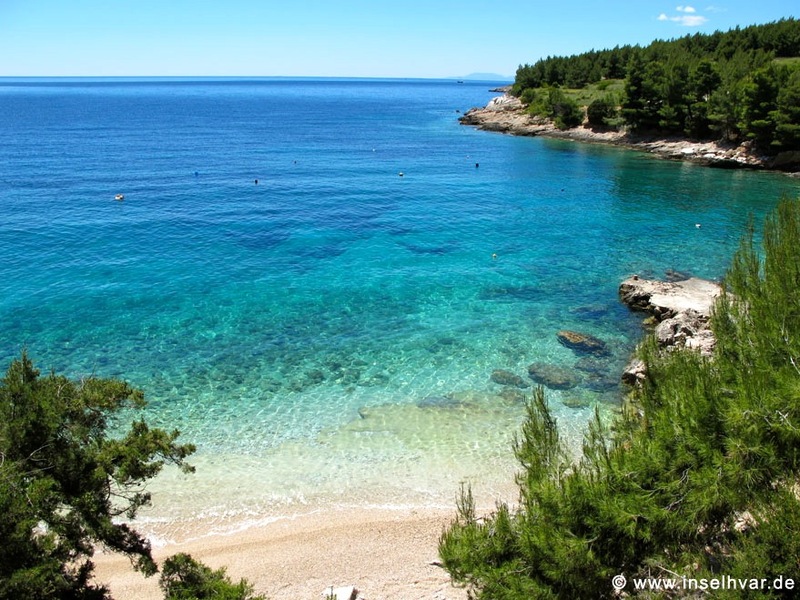 Hvar has many beatutiful beaches, especially here in Zavala there are some beaches with a beautiful scenery. 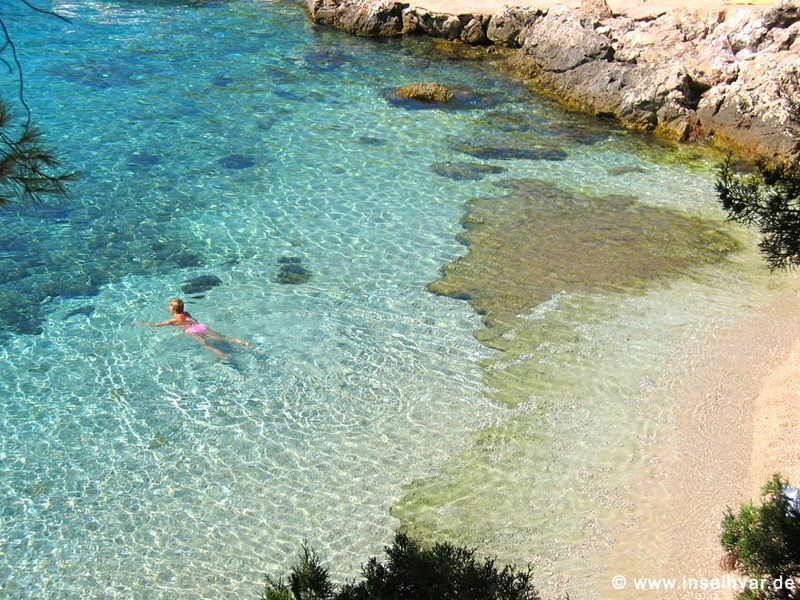 Ideal for families with kids, and for snorkeling and diving. 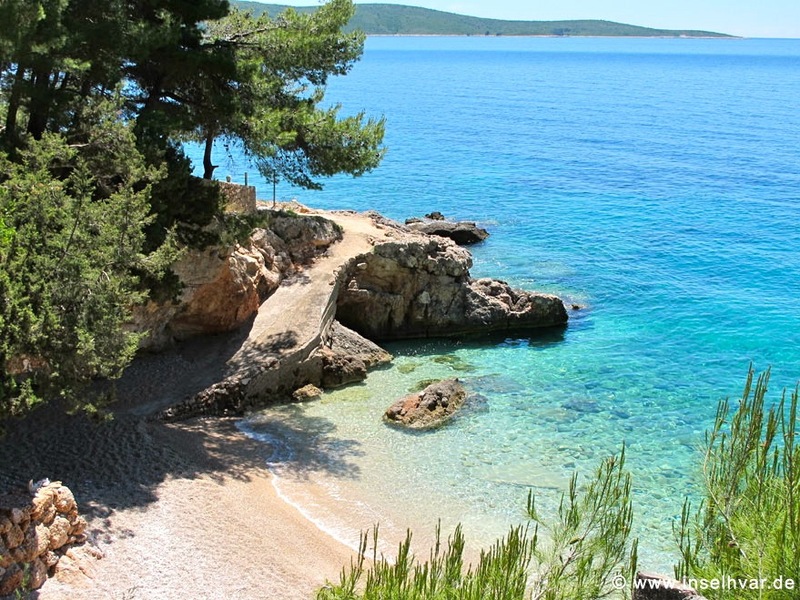 Picturesque bays and dreamlike beaches on the island of Hvar. 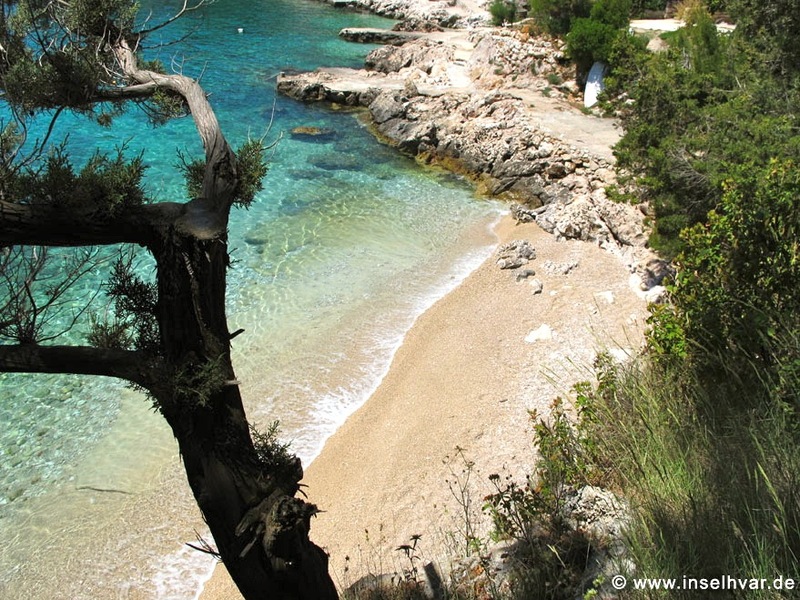 On the south side of the island of Hvar you will find picturesque bays and beaches within and between the villages. 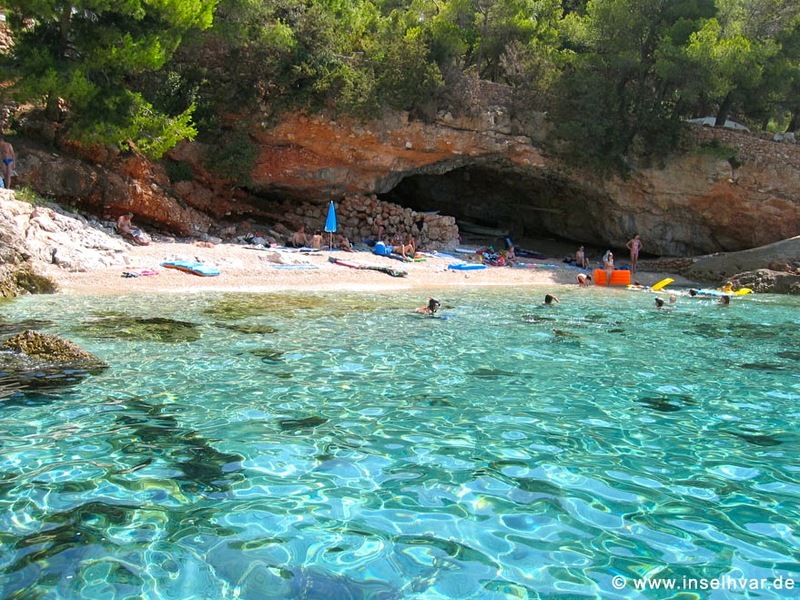 But note, if you make vacation in july and august, you would have difficulties to find a beach for you alone. 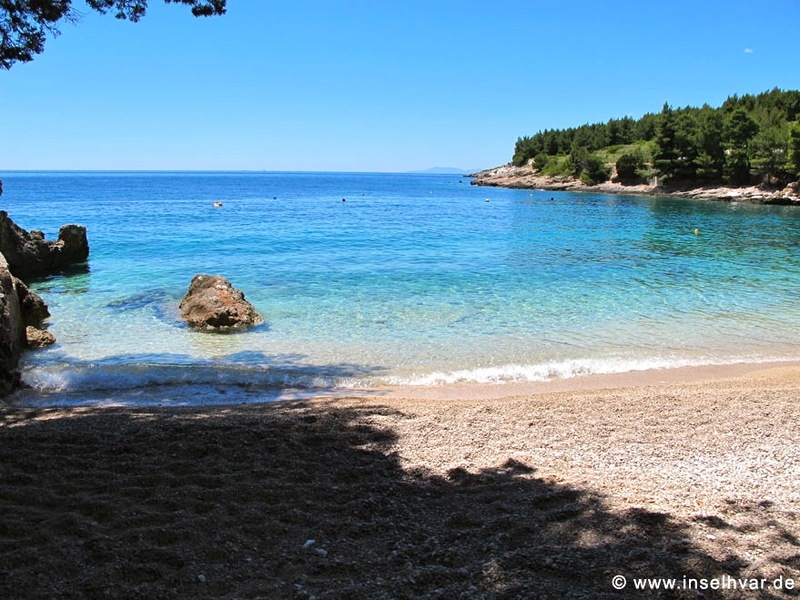 So if you are travelling in pairs without children, it is recommandable to make vacation outside peak season. 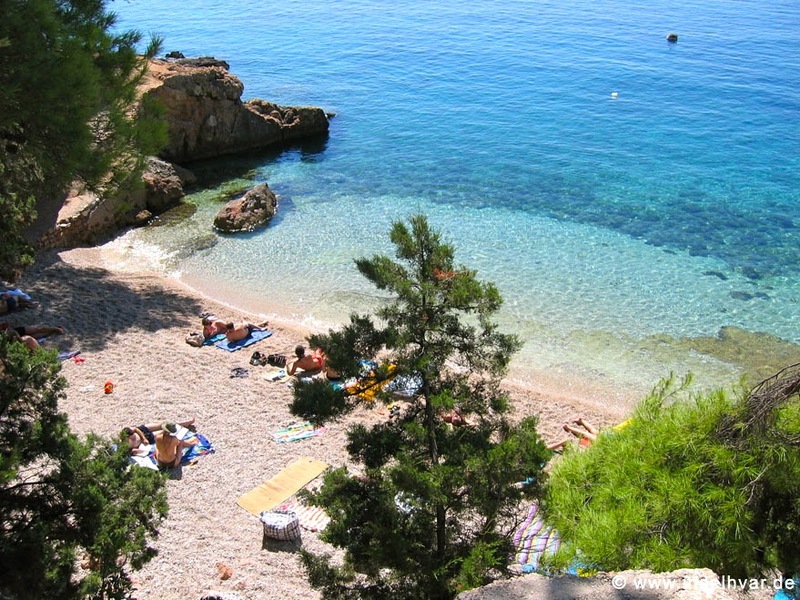 This beach is near the apartments.